We want YOU to be our next LEADERS! Are you a creative problem solver who is comfortable working with teachers, parents and the community? 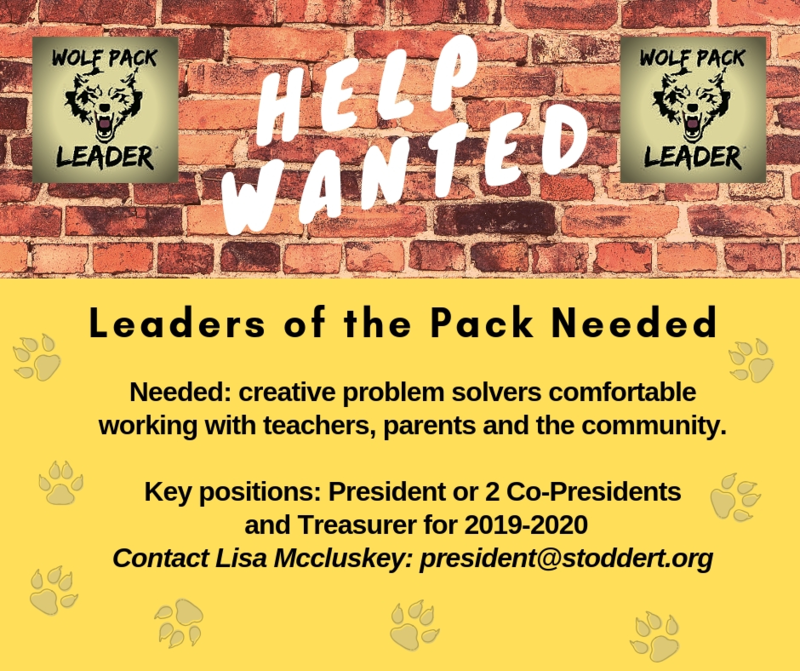 We are in need of a President or 2 Co-Presidents and a Treasurer for the 2019-2020 school year. These are crucial roles which must be filled. If you are ready to play a substantial role in supporting our school, we want to hear from you. Open to all parents and guardians! Open to all parents and guardians! Find out more- contact president@stoddert.org or treasurer@stoddert.org. Additionally, we will have committee positions open as well including Fall Festival, Teacher Appreciation and more. A sign up link will go out very soon but if you have an interest please contact us- we truly appreciate input and new volunteers. Many of you have stepped up to volunteer and we appreciate your late nights, early mornings, planning and energy so much. The things that you do truly matter. Thank you for all of your support this year! Want to know what we do and why? Visit the PTO owned and managed Stoddert website and read our budget information pages.